This special weekend will include 2 Scooby movies as part of Boomerang Cinema followed by a Scooby Doo, Where Are You? mini marathon and then the premiere of the latest Scooby incarnation. Anyway, the show is expected to air on weekends only, at first and then after more episodes are aired in the US and translated it will probably get a weekday slot as well. 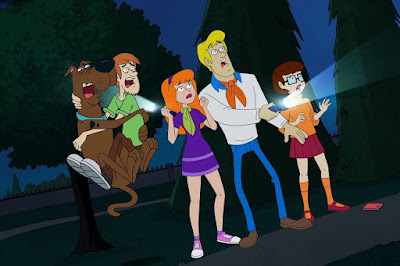 I just hope it won't replace all the classic Scooby slots on Boomerang. This is a promo from Cartoon Network US where the show will get a preview run before it continues on Boomerang.